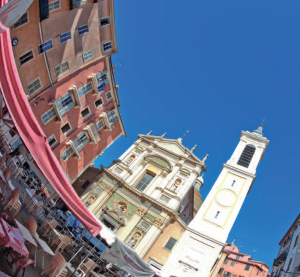 Nice has a hot-summer Mediterranean climate, enjoying mild winters with moderate rainfall. It is one of the warmest Mediterranean climates for its latitude. The average minimum temperature in January is around 5 °C (41 °F). Spring starts mild and rainy in late March, and is increasingly warm and sunny towards June.